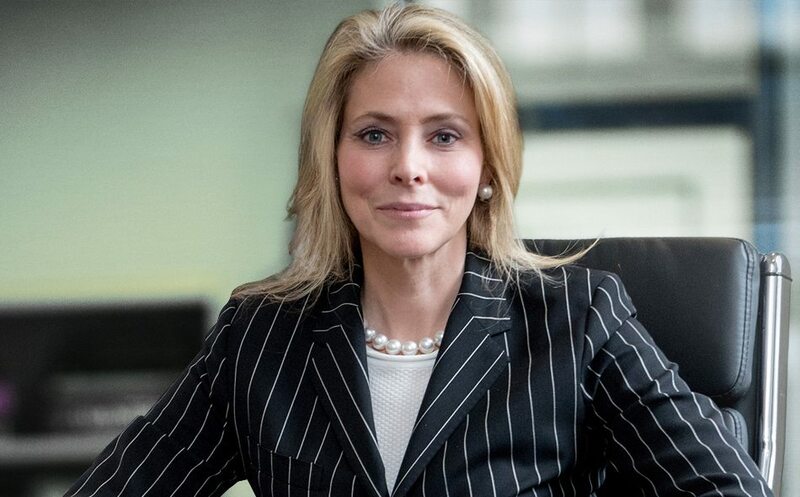 The prestigious New York Law Journal recently named Marie Napoli one of the top lawyers in the Big Apple, and she recently sat down to talk about her role in the BHR hip implant lawsuit. In addition to a full litigation docket which includes the hip implant case, a class action case against the City of Flint that Napoli Law filed along with the NAACP, a drinking water poisoning case in Hoosick Falls, and several other large matters, Marie also spends time lobbying for the Flint Victim’s Compensation Fund law in Washington, D.C.
Marie Napoli, What are the issues in this case? Marie Napoli: Fundamentally, in my opinion, defective hip implant cases are really about the huge gap between what the company promises and what many patients experience. One of our own clients put it best when he said something like the company almost guaranteed that he would look and feel like the Six Million Dollar Man, but he wound up more like Ironside. Most of these cases involve metallosis or metal poisoning. Since these implants have all-metal parts, the friction releases microscopic metal shavings into the bloodstream. Over time, these fragments build up and cause infection, which leads to device failure. In some cases, that failure may happen after only four years, at which time most victims lose whatever mobility they had before the implant. We’re also starting to see a few cases that involve the cheap components that some of these manufacturers used. As a result, some victims have dementia and other issues, because of a different type of metallosis that’s more akin to lead poisoning. What is Multi District Litigation? Marie Napoli: Essentially, when there are thousands of victims, it is more efficient to keep all the claims in one place. But defective device cases, like hip implants, do not meet the qualifications for class actions. Take for example the Uber class action that my partner is handling. All these drivers perform the same job with the same tools and get the same pay. But medical devices are different because all the patients are so much different. Furthermore, in some of these cases, the doctor was negligent along with the company. MDL is a way to consolidate somewhat diverse cases. It’s much more efficient because there is one judge who develops an expertise in this area. It’s also good for victims because when one case settles, many times it triggers a domino effect and the manufacturer caves in on lots of cases. If the litigation doesn’t settle, the case usually goes back to its home jurisdiction for trial. What is your role in this case? Marie Napoli: Judge Catherine Blake appointed me as one of the plaintiffs’ steering committee attorneys. I’m very grateful to her for that because it lets me use my considerable experience in this area to help people. Outside of the hip implant case, I’ve also done some work in some other dangerous drug and defective medical device cases, including the Viagra lawsuit and the claims against the makers of the Bair Hugger warming blanket. I can’t go into too much detail, but basically, my job is to keep these cases moving as they go through the discovery phase and be a resource person for the other attorneys. Without making specific predictions, how do you see these cases turning out? Marie Napoli: The signs are positive. There’s another hip implant MDL in Texas concerning Johnson & Johnson devices. Last December, a jury ordered the manufacturer to pay over $1 billion in damages to several California plaintiffs. That result brought the plaintiffs’ record in that MDL to 2-1, and although the judge later reduced the damage award, it was still a major win for victims and a good omen for future trials. Every case is different, but I tell people all the time that if they receive a metal-on-metal implant and they had any complications, they should definitely reach out to us, because they may be entitled to substantial compensation.